Profile - Who is Alana Johnson? Alana has worked across Australia, in Ireland, the UK, India, Sweden, Italy and the USA, speaking at conferences, delivering lectures at universities, facilitating seminars and workshops, advising governments and NGOs and providing governance consultancy. Rural Industries Research & Development Corporation ARLP Scholarship. 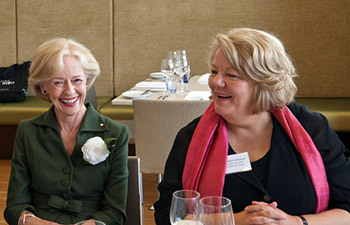 Whos Who of Victoria and Whos Who of Australian Women.